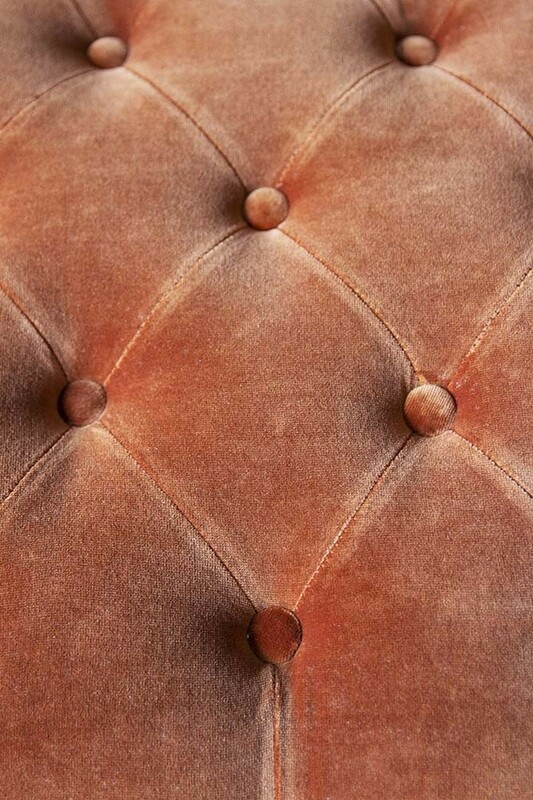 The Burnt Orange Velvet Chesterfield Sofa is pure interior design drama! 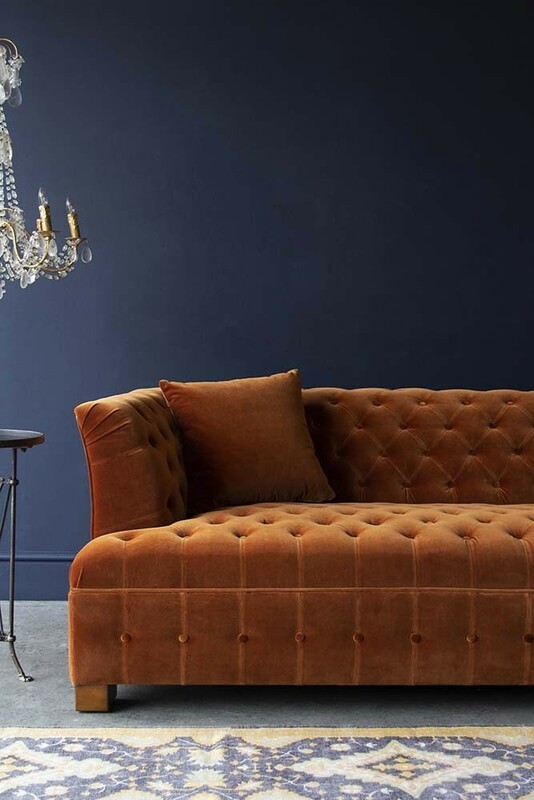 An investment piece that you will treasure, the sophisticated, elegant and opulent burnt orange coloured Chesterfield Sofa will add rich colour to your home interiors and is guaranteed to turn heads. 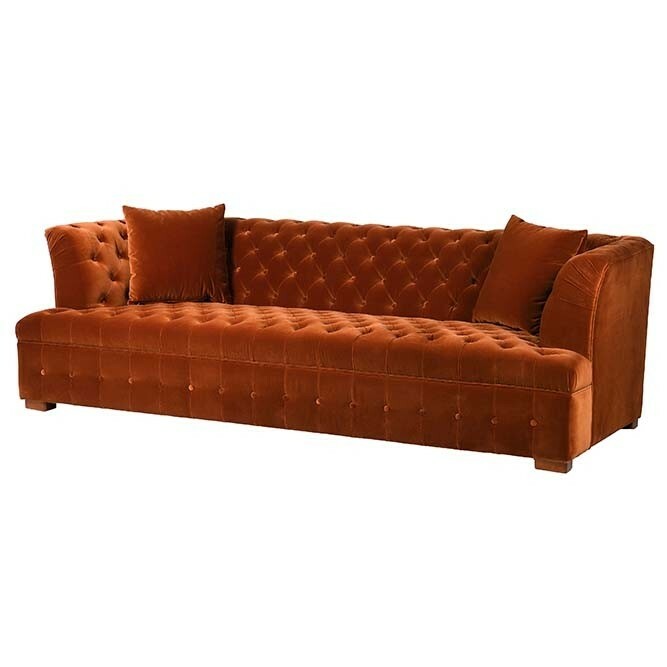 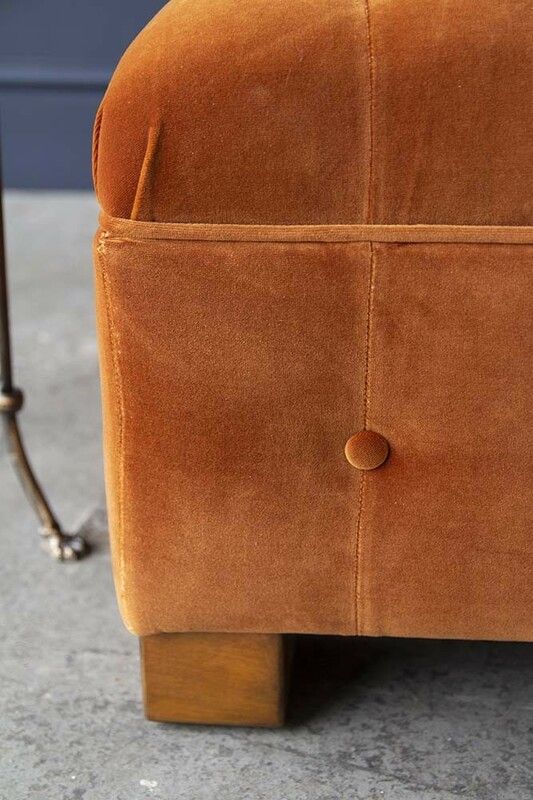 Upholstered in a luxury cotton rich orange velvet, the one-of-a-kind Burnt Orange Velvet Chesterfield Sofa, features signature chesterfield button back, stud detailing and raised wooden legs. 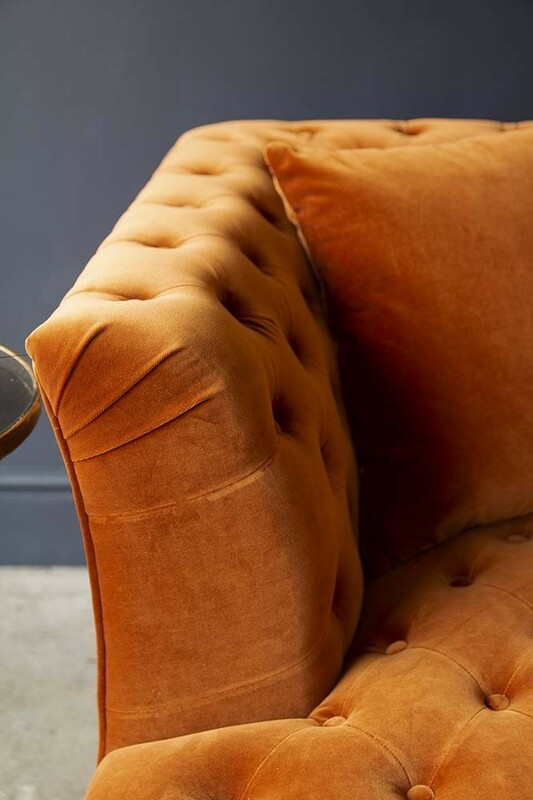 Please note that this sofa is made to order and is therefore exempt from our returns policy and is non-refundable.